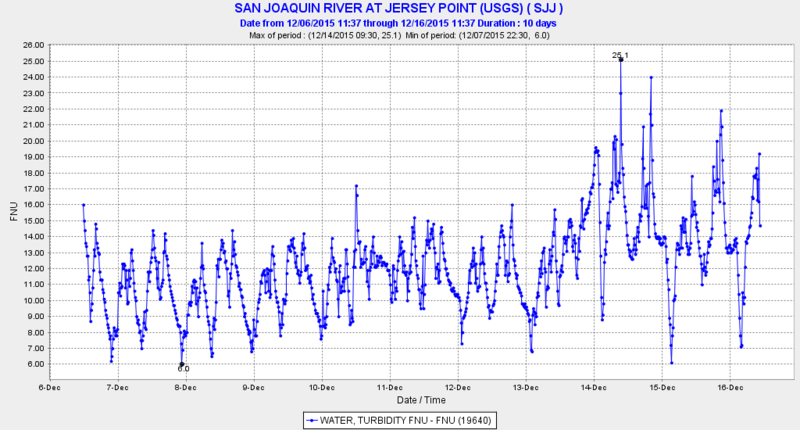 The US Fish and Wildlife Service’s early winter survey1 recently detected the first adult Delta Smelt of the water year in the Delta at Jersey Point on the lower San Joaquin River (Figure 1). 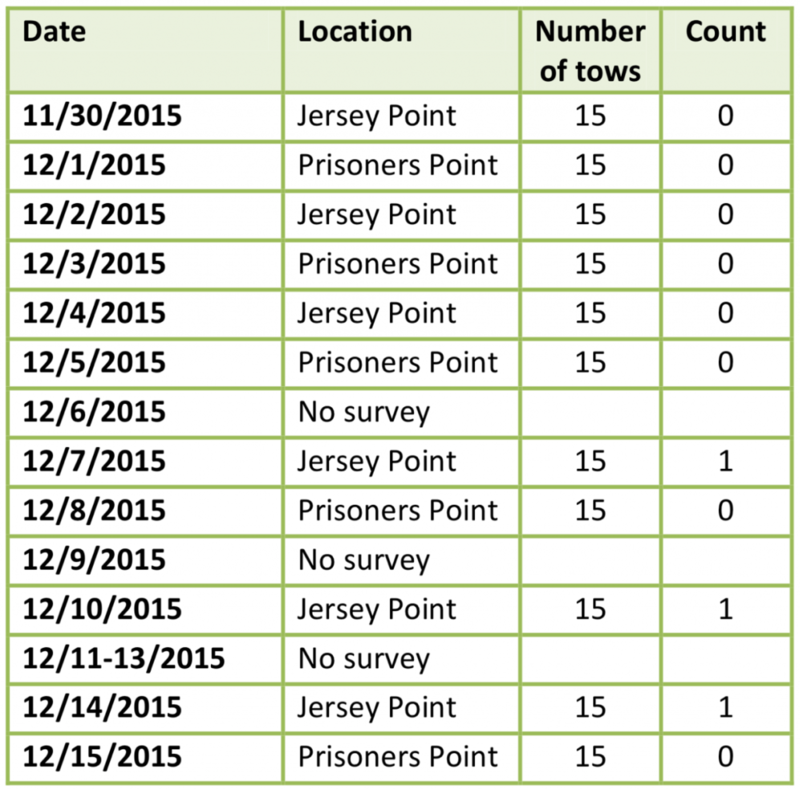 The number collected in the survey through December 15th is 3, compared to 26 for the same period last year. 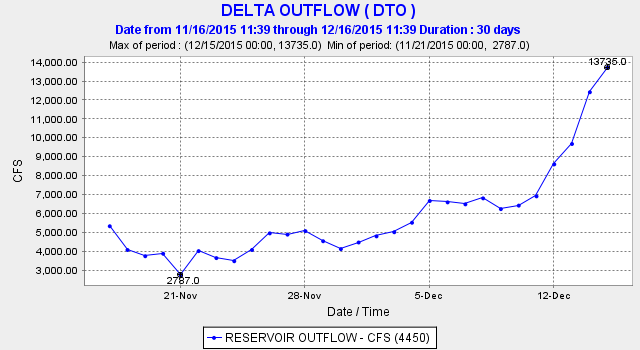 Their appearance is on schedule and likely related to the first storm flow of the winter (Figures 2 and 3), and the freshening of the Delta (Figure 4). Figure 1. 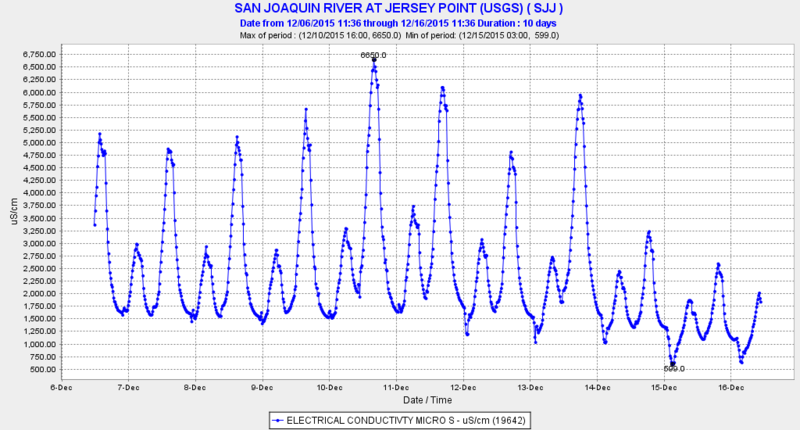 Catch of adult Delta Smelt in early warning survey at two lower San Joaquin River stations in December 2015.